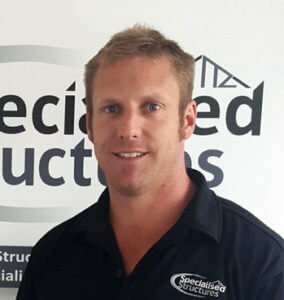 A builder by trade for 10 years plus, Justin has undertaken all aspects of building work, from commercial construction to home renovations. Owner operator of Quaid Construction, Justin bought into the Specialised Structures system because he saw value in drawing on the expertise of a nationwide network. He also liked the versatility of Specialised Structures, enabling him to build anything. Plus, he knows the buildings are strong and excellent quality. Ashburton born and bred, Justin is now raising a family here. A keen sportsman, he has been a member of various sports groups over the years and is currently a member of the Ashburton Squash Club. Good to work with, Justin’s keen on keeping his clients well informed throughout a project, he’s reliable and a problem solver. Justin is a Master Builder and Licensed Building Practitioner.